The Municipal Art Society of New York supports the landmark designation of the Downtown Community House at 105-107 Washington Street and the adjoining tenement at 109 Washington Street on the Lower West Side of Manhattan. 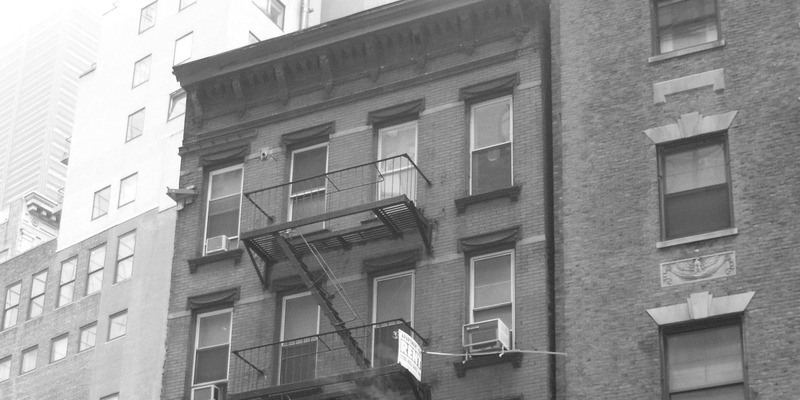 These properties reflect the rich history of the Lower West Side as a significant place of settlement and transition for immigrant communities. 109 Washington Street. Photo: Wikimedia Commons, Kate Reggev. In the late 19th and early 20th centuries, Manhattan’s Lower West Side was the cultural and economic center for Arab-Americans immigrating from Greater Syria. Known as “Little Syria,” this neighborhood contained commercial and religious centers as well as housing for the diaspora of Syrian-Americans. Washington Street, where both proposed properties are located, was an essential, lively cultural and commercial site for settling communities. The Downtown Community House at 105-107 Washington Street housed the Bowling Green Neighborhood Association, which serviced the local immigrant community for many years as part of the Settlement Movement popular at the time. Its Colonial style reflected assimilation into American culture. Meanwhile, its adjacent Old Style Tenement at 109 Washington Street housed over thirteen nationalities and ethnicities within its first decades of existence. These properties have survived two acts of eminent domain and retained their historic character through periods of redevelopment in the neighborhood. The protection of these historically and culturally substantial properties is essential to preserving their architectural character. MAS supports the designation of these properties and the history of the Lower West Side as the beginnings of a community now part of New York’s unique cultural fabric.